Heartbreak after a high-speed chase ends in a horrific deadly crash — it’s what Poly Rivera and her family are left with now that Rivera's nephew is gone. 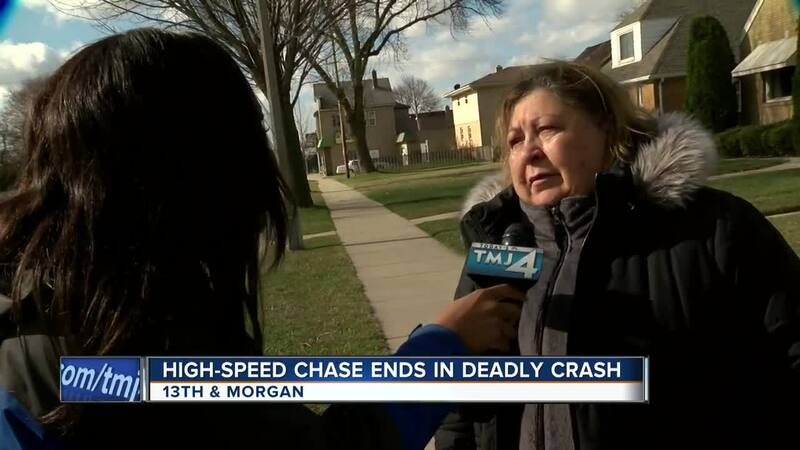 MILWAUKEE — Heartbreak after a high-speed chase ends in a horrific deadly crash is what Poly Rivera and her family are left with now that Rivera's nephew is gone. “I couldn’t believe it. I couldn’t believe it because he just went to the bank (dropping off) his sister and his wife,” Rivera said. According to Rivera, her nephew, 25-year-old Pedro Luis Colon Ortiz, was supposed to return to the bank to pick up his wife and sister, but he never answered their calls. “It is (a very difficult time for our family). Our family’s from Puerto Rico, so everybody’s over there wondering what’s going to happen,” Rivera said. The crash happened Thursday evening when a Milwaukee County Sheriff’s deputy spotted a reckless driver and followed him. The driver sped away, crashing into the car Ortiz was driving near 13th and Morgan. Sheriff Earnell Lucas said the reckless driver was an 18-year-old man with two women in the car. Deputies found a gun and drugs in the car, too. Rivera — still trying to wrap her head around all of this — said her nephew was a father and a good man. “He works hard, and he’s a family guy. … It’s sad,” Rivera said.